BEST rocker covers PART DEALS MINIMUM EFFORT! The rocker cover in your vehicle has a simple role in that is used to cover the rocker arm, which does have an important role. Here we will explain more. All modern vehicles with an engine will be using a rocker arm and the rocker cover is used to cover this and sometimes they are referred to as rocker boxes. This cover tends to be made from metal but there are composite alternatives available and it is used for covering the top of the engine block, covering the rocker arm of the engine´s cylinder head. This rocker arm plays a crucial role in how power from the crankshaft is turned from a rotary motion and into a linear motion - that's the up-and-down movement required for the valves to operate. The rocker arm needs to be constantly oiled to function properly and in older engines, these needed to be oiled frequently but the oil was then contaminating other components so the rocker cover was designed to help keep this oil in place on the rocker arm and also keep dirt and road debris out. 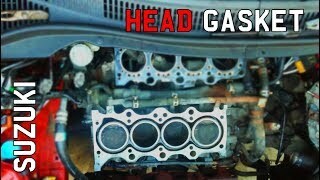 There may also be a need for a gasket rocker cover which is a gasket used as a seal between the engine and the rocker cover itself. Should this gasket fail for whatever reason, then it can lead to oil leaking into the engine. 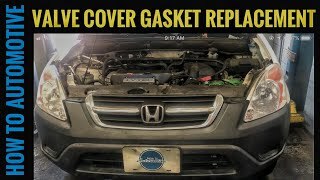 This oil leak from the rocker cover is fairly common and it's also easy to repair and may simply require that the rocker cover gasket is replaced. Other symptoms for leaking oil may be a burning smell, or the engine starts to run roughly or the engine oil has a low level. It's important that you fix any oil leak as quickly as possible to avoid damaging the engine but when it comes to the rocker cover gasket, then these need to deal with a wide range of temperature fluctuations and they can become brittle and fail. They are also liable to wear and tear and any replacement must meet the vehicle manufacturer´s standards. 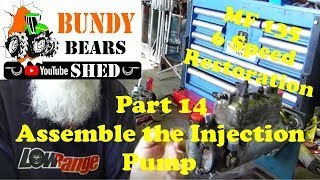 If you believe there may be an issue with your rocker cover, for example, it may be leaking oil or there's a tapping noise heard when the engine is running, which could be an issue with the rocker arm, then it may be a good idea to take your vehicle to a professional to have this problem diagnosed. The professional can then source a quality replacement to ensure that your vehicle will run properly and safely afterwards. 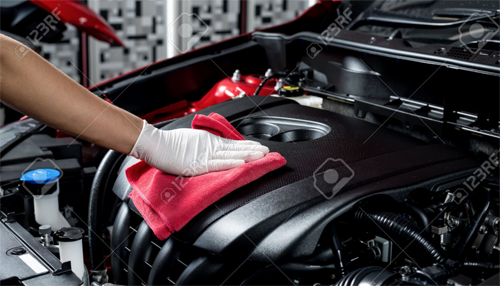 The professional will run the engine to ensure the gasket is not leaking and will clean the cover or replace it as necessary. If you are searching for rocker covers, then it's important that you source quality items from reputable suppliers and that these are compliant with your vehicle manufacturer's criteria and the MorePartz site can help. One of the most convenient ways to obtain replacement rocker covers parts for your is to use your local or highstreet car part supplier. The advantage of using a shop is you get face to face support in purchasing the rocker covers part you need. One of the most beneficial aspect of purchasing from a local store is often highstreet shops will take your rocker covers part back if for some reason it doesnt fit, and if in stock instantly replacing with the correct part this can often be easier and quicker than repacking and posting, and then needing to wait for the replacement rocker covers part to be sent out. Salvage and breakers yards are are an excellent source of replacement parts, not only for rocker covers spares but for a whole number of different parts. 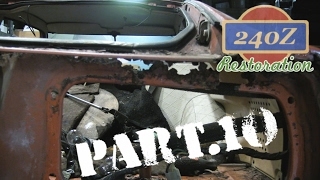 Breakers yards and salvage yards purchase damaged cars and then they dismantle them and sell the parts on to the general public. If you want to make even more savings then purchasing your required part from a local could be the answer, shops, private sellers stores and all sorts of users post rocker covers parts for sale using classified websites such as preloved, gumtree or even craigslist. You will have to be a bit more savvy to purchase via this channel, there are no assurances that the part you purchase is fit for purpose and often if you purchase rocker covers parts from the public you are not protected - mostly rocker covers spares and parts are sold as seen, so you really need to test your rocker covers or know about the part your purchasing in some detail. For the convenience of shopping for spares and accessories without leaving your home then the online store usually has everything you need to get your part rocker covers part replaced. Its easy to find a large number of online stores to purchase your rocker covers replacement parts and accessories, usually the offer fast delivery to your home and refunds or replacements if the rocker covers part turns out to not be suitable as long as you have the original packaging. Some even offer next day delivery offering one of the most convenient ways to purchase rocker covers car parts. Some websites offer the ability to enter your car details and the rocker covers part required so they can source what you need by contacting a large network of suppliers to give you quotes on the rocker covers part your looking for.